Smith Marketing Inc. was established off of 27 years of successful real estate experience in the Triad area of North Carolina. We simplify the home buying process and work with you to make buying a home less stressful. 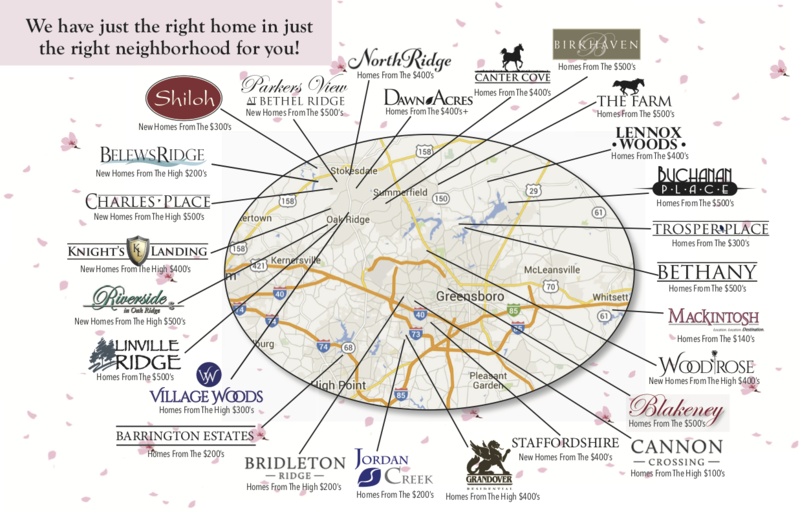 The Gates at Brassfield is situated in a wonderful community in Greensboro, North Carolina. Conveniently located to top notch schools, wonderful cuisine, excellent parks, historical landmarks, great movie theaters, exceptional recreational activities and exquisite culture, The Gates at Brassfield has just about everything you could ever want in a community. 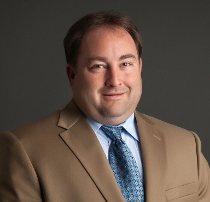 Jason Smith, Realtor®, Broker, is Sr. Vice President of Smith Marketing, Inc. For 10 years, Jason has been a dominant force in the new home community, a member of the Greensboro Home Builders Association, as well as past Board of Directors member and Associate of the Year in 2007. He specializes in new construction, existing home sales, and land development opportunities. Working with the area's top developers and custom home builders, Jason can help you find the perfect home. 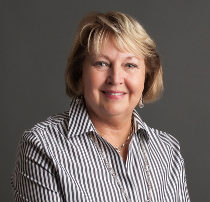 Betty Smith, Realtor/Broker/Owner, has been in the real estate business for 40 years, including serving as President of The Greensboro Regional REALTORS® Association and Greensboro Builders Association. She was the REALTOR OF THE YEAR in 2010, and owns Smith Marketing, Inc., Allen Tate’s largest team, along with her sons, Jason and Jeff. Betty's expert knowledge in real estate and community involvement will help you to sell your home or find the perfect home for you and your family. Licensed in NC and SC. 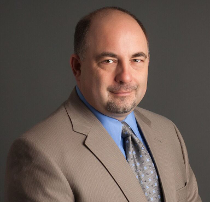 Jeff Smith, Realtor®, Broker, is the Sr. Vice President of Smith Marketing, Inc. For over six years, he has represented and closed homes from $100K to $1.8M in the Triad. Jeff’s professional experience and personalized approach is an asset for helping buyers and sellers with their real estate transactions, including general brokerage. With a strong presence in the new construction market in the Greensboro area and a comprehensive listing of available home sites, Jeff will help you find your dream home. Anette is committed to providing the best real estate experiences. She moved here from Germany in 2012. She understands relocating firsthand and can effortlessly guide you through the process. 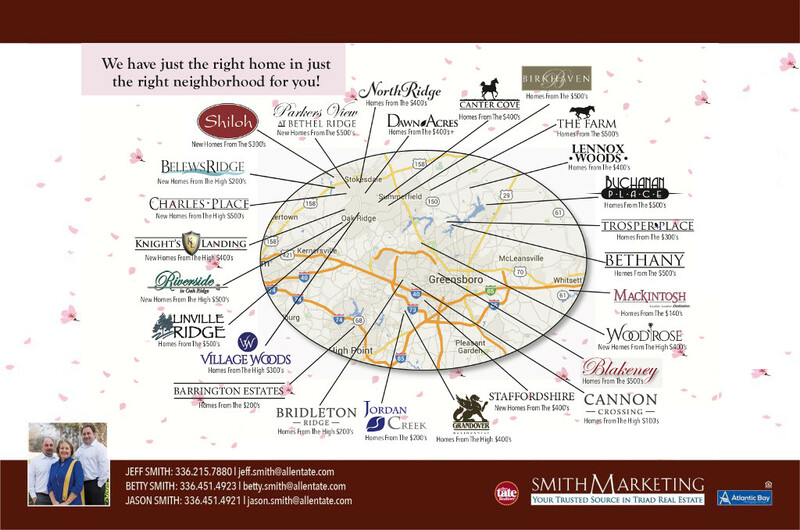 Smith Marketing, Inc. is proud to call Allen Tate-Summerfield home. This partnership brings an integrated marketing and strategic approach to home sellers, home buyers, and builder/developer clients. We provide a complete listing of Triad homes for sale, both new and resale, with easy-to-locate property searches and maps based on your search criteria. We specialize in the best Custom Homes in the Triad. From existing home sales and purchases to large housing community developments, we bring expertise and care to the entire processes. Success follows the in-depth background knowledge we develop that distinguishes your property from others in the same area. Our dedicated team uses a strategic approach from the start to finish, streamlining the process of getting you comfortably moved into your new home. We stay current with market trends, mortgage rates, and the latest building materials, so that we can advise on all available options, narrowing in on the best choice for our buyers. For the home seller, our experience can be invaluable. After running comparisons, researching neighborhood statistics and analyzing the history of properties on the market, we can help our sellers prepare for the sale of their properties. Whether you are in the market for condos, townhomes, investment properties or relocation services, you can depend on the valuable information and tools available to you through Smith Marketing. Our dedicated team uses a strategic approach from the start to finish, streamlining the process of getting you comfortably moved into your new home. Investment properties or second homes may be a part of your long range goals, and we can help to determine the best time to make the purchase to get the most out of your properties. To plan for your next home purchase or house sale, please contact our real estate firm and we will help you get started on this wonderful journey. Our priority is to help our Triad clients achieve and exceed their real estate goals.